The DanceSource is having a wonderfully busy summer, and is looking forward to asking its current and new dancers to come back to Dance Classes at The DanceSource this fall. We begin registration on Labor Day, Monday, September 4th from 10:00AM to 6:00PM. Then Dance Classes begin on Tuesday, September 5th. Our schedule is still pretty much the same, Monday through Friday after school, beginning at 4:30PM, and Saturday 9:00AM to 8:00PM, and Sunday 9:30 - 4:00PM. We offer Ballet, Tap, Gymnastics, Modern, Hip Hop, Ballroom, Zumba, Barata Nathyam, Kathak, Bollywood, Private dance classes, and MORE! 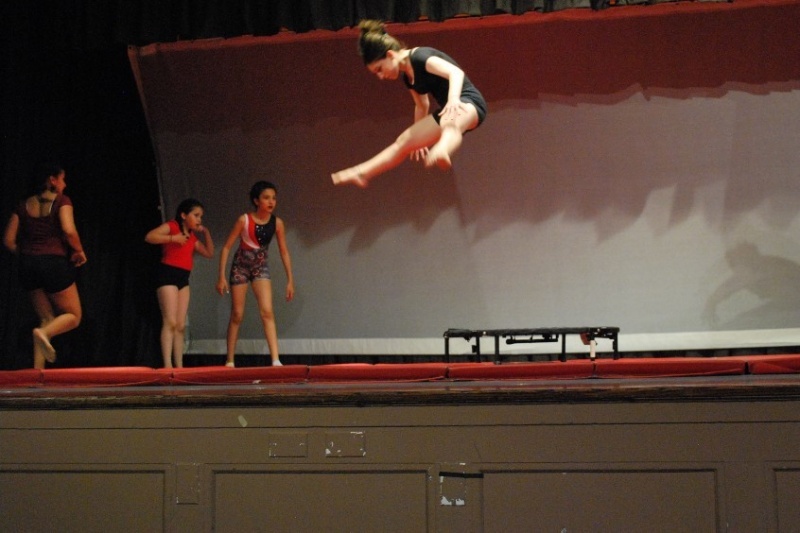 The Dancesource has been in Forest Hills since 1996, and still going strong. We had a great time at the Arts Dance Music Camp this summer,in collaboration with Varta Academy of Musical Arts. Great classes of dance, music, art, and Field trips on Fridays! It's kept us busy and on our toes this summer. Some kids came for a day,a couple of days, half days, and some stayed for the whole thing. We hope to see you next summer! 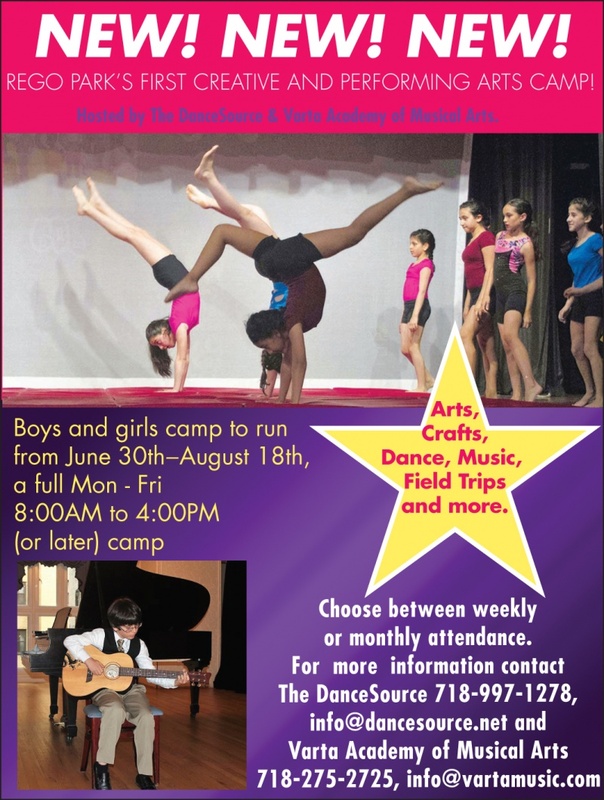 Join us at the Arts Dance Music Camp of Rego Park! 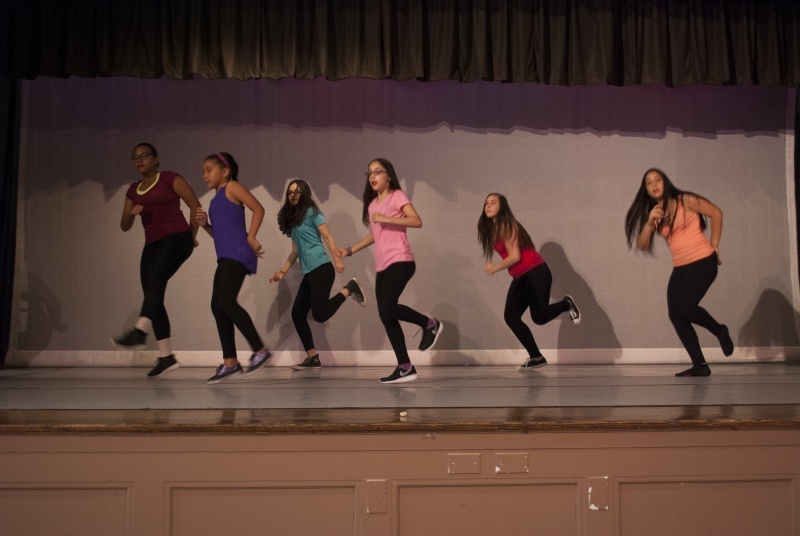 If a couple of hours a week isn't enough for you, then you MUST come investigate our Arts Dance Music Camp of Rego Park, a first artistic camp that incorporates Art, Dance and Music, in collaboration with Varta Academy of Musical Arts. This is a Mon - Fri 8:00AM to 4:30PM day camp, Fri June 30 - Fri August 18th, bring your own lunch, with half a day of music, half a day of dance, and field trips on most Fridays. We will do a culminating performance on the final day, August 18th. You have the option of signing up for a half day, a full day, a few full days, one week, a few weeks, or the full 7 week camp. More information about this new summer venture can be found on http://www.dancesource.net/arts-dance-music…park-summer-2017/ and http://vartamusic.com/ArtsDanceMusicCamp.html . We really encourage you to come join our new summer camp, and tell your friends about us. Have a great summer, join us if you can! "Two" and Mommy... during Sunday Morning Combo class. 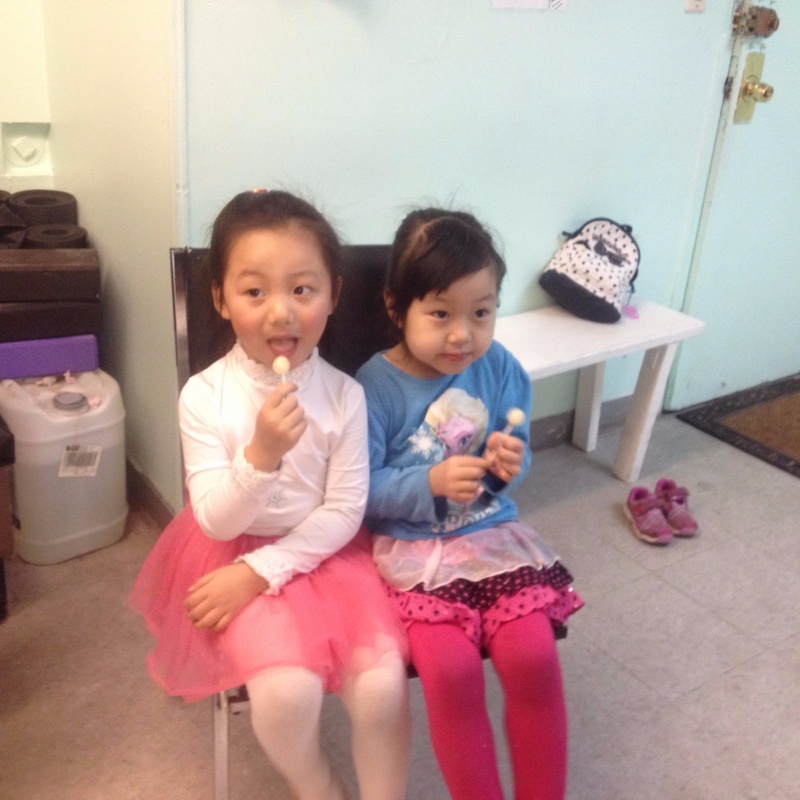 Cassiah and Stacey with Lollipops that Miss Jenna gave out last Saturday. Our annual dance recital presents its dancers who have been dancing with us this year, and shows their newly learned dance skills. 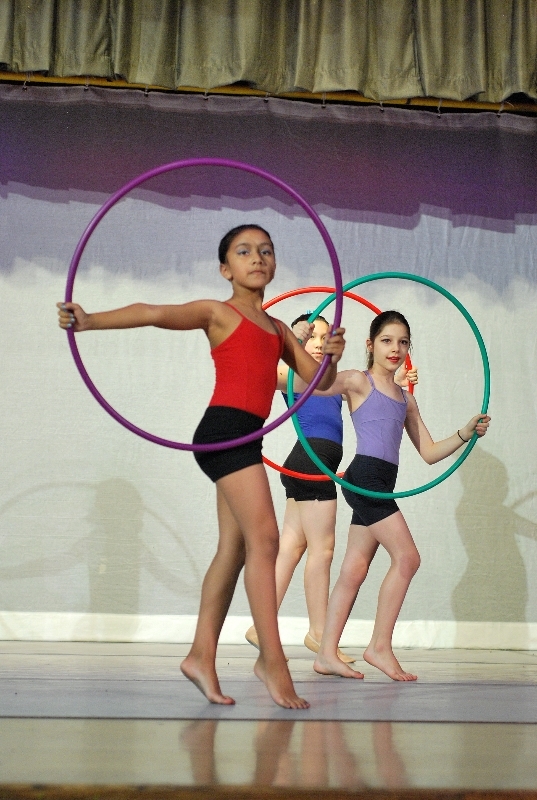 The 2PM Performance is for our newest and youngest dancers, the 6:30PM performance is for our more skilled dancers who have been with us longer, and have developed their skill over the years. We promise you won't be disappointed, please come! 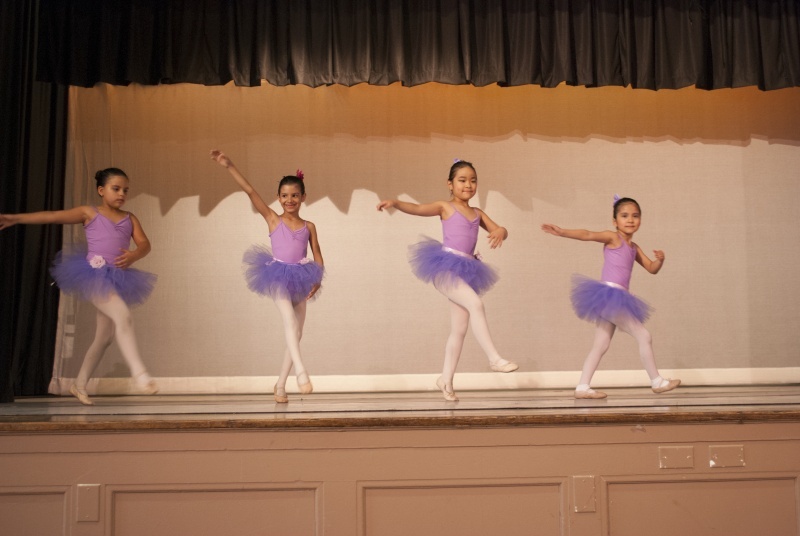 Did you know that the Ballet/Tap/Gymnastics class for 3,4,5 year olds has moved to Thursday 6:30PM. That time slot became the winning time, so we have moved the weekday class to Thursday 6:30PM. And did you know that we now offer Private ballroom classes for Quincinera, Bat/Bar Mitzvahs, Sweet 16, Wedding Dances, and other specialty dances? We are also open on Sunday afternoon for birthday parties. Contact us for more information. If you have been a former dancer at The Dancesource, and wasn't happy with the first class you took, then please consider a different class. We'll even give you a second free trial class if this happened to you. 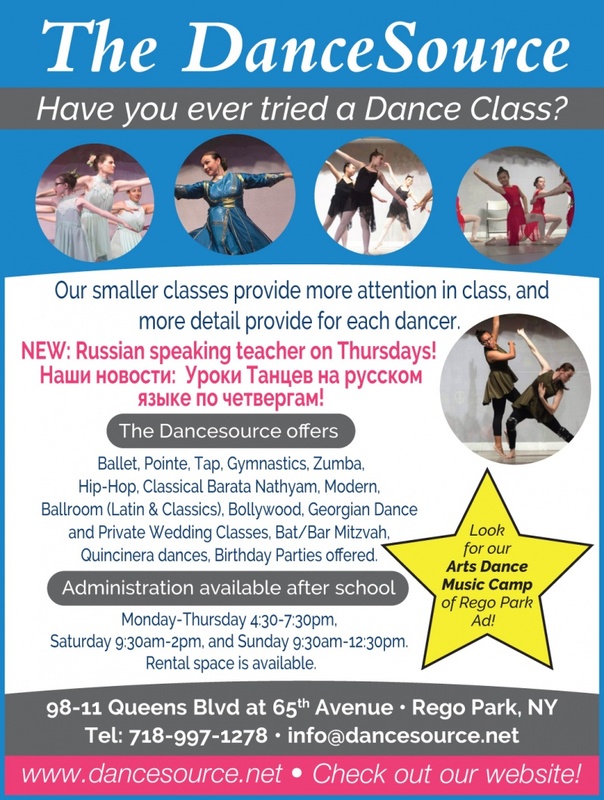 And if you have decided to move on, but were happy with our classes, then please be sure to pass the word to your friends in the neighborhood, to let them know about The Dancesource. It's our intention to do right by our dancers and customers, and we really do need you back and soon! If you're not returning this year, please let us know if you'll be back in the summer, or this coming Fall 2015. We're always open to constructive feedback. If we need to know something to make your experience at The Dancesource better, then please send us an email. I promise we'll read it, and listen to what you have to say. We're always trying to improve and make your dance classes The Dancesource your best experience ever. Come visit in the Dancesource office and be sure that your payments are current and up to date. We will thank you for that. We're only 4 months away from performance, so please be sure you get to all of your dance classes on time, and practice at home. We are very excited to see when you have learned your routines! Keep smiling, and remember to point your feet! See you in dance class soon. Did you know that The DanceSource is now on Facebook, Google+, Youtube, Instagram, and have you seen our new website at www.dancesource.net? Please visit our online locations, and let us know if you like what we are doing. The DanceSource begins its 25th year. 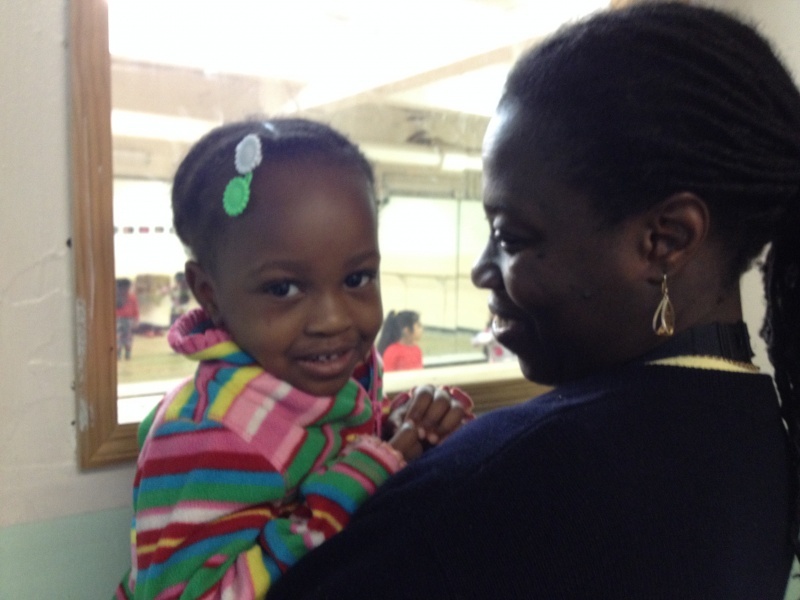 We offer classes for children age 2½ to adult. 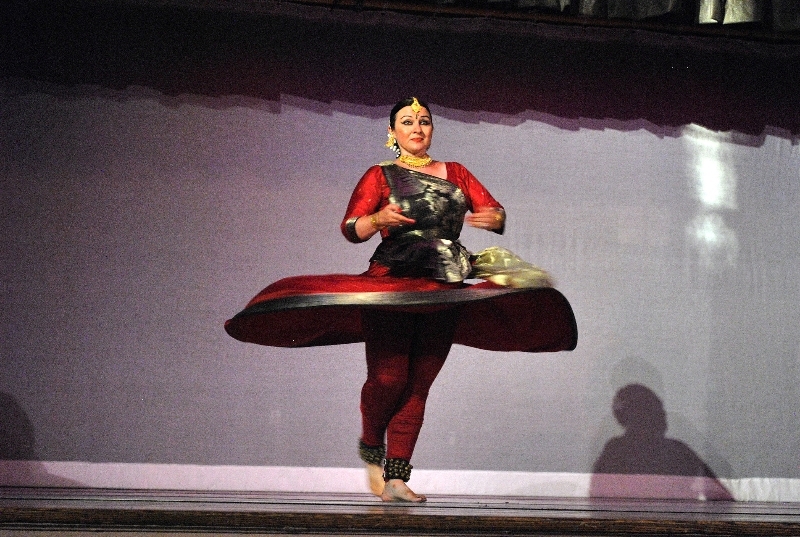 We offer all the classic dance classes and ethnic styles of dance. Our smaller, boutique-sized classes offer lots of individual attention. We will run a six-week summer session July 6–Aug. 9.